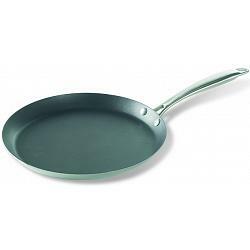 This fabulous crepe pan from Nordic Ware is made in the USA from highest quality aluminized steel and comes with a 10 year warranty. With this non-stick pan, delicious crepes are easy to prepare. Crepes are a great weeknight meal or a sweet Sunday breakfast or brunch. You decide if the filling is going to be sweet or savory. 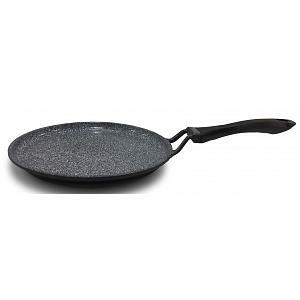 The crepe pan has a 11 inch / 28cm diameter.